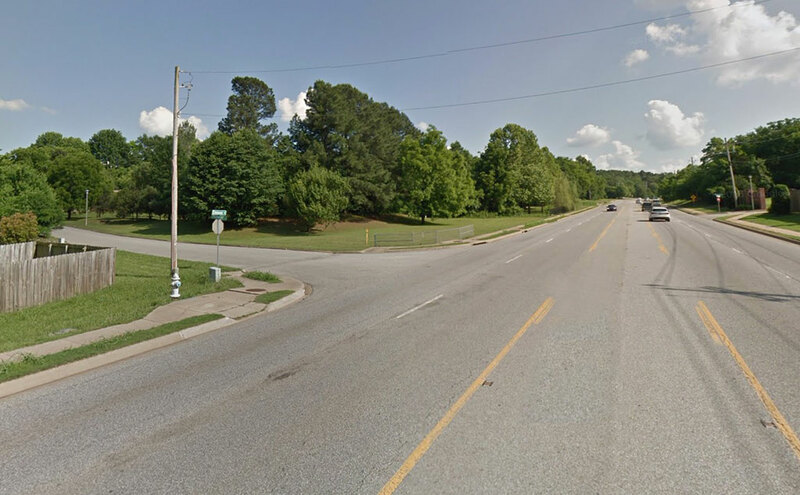 A rezoning request that would allow up to eight units per acre in an established east Fayetteville neighborhood failed Tuesday after several weeks of discussion at the City Council level. The council voted 4-4, with Council members Teresa Turk, Sonia Gutierrez, Mark Kinion and Sarah Bunch voting against the proposal. The rezoning needed five affirmative votes to pass. Mayor Lioneld Jordan is allowed to cast a vote when the council is split, but he declined. 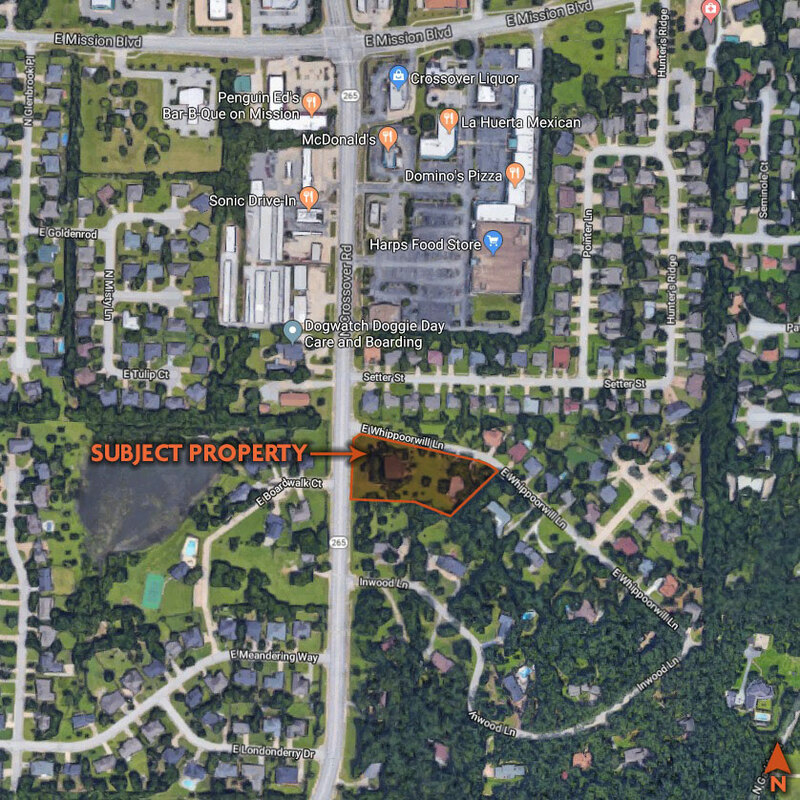 The property is at Crossover Road and Whippoorwill Lane at the entrance to the Glendale Addition subdivision. The 20-lot addition includes homes on large lots that were built mostly in the late 1960s and early 1970s. The Roth family asked the council to rezone their two lots that take up about 2 acres from RSF-4 (Residential Single Family, 4 units per acre) to RSF-8 (Residential Single Family, 8 units per acre). One lot includes an existing home, and the other lot is vacant, but is wooded and includes a small pond. The family planned to split the property into six lots and build a group of smaller homes that cost between $300,000-$325,000, which is a price range that is currently unavailable in the neighborhood. Residents in the subdivision showed up in numbers to speak against the proposal at Planning Commission meetings and three City Council meetings. Most cited fears about safety and concern over additional stormwater runoff that might occur if the new homes are constructed. Others said they didn’t want less expensive homes in the area, and a few said if approved, the rezoning could open the door for similar requests for added density along Crossover Road. Many also said the character of their neighborhood would be lost if a group of new homes were built at the entrance to their subdivision. Two residents filed suit against the Roths, claiming that the protective covenants of the Glendale Addition only allow one home to be built on any single lot. The four council members in favor said the request was reasonable, and that one of the council’s duties is to help manage the growth of the city by finding compatible places to facilitate more homes. Council member Kyle Smith said when proposals for incremental increases in density across towns are ignored, the result is often monumental increases in other areas. Those areas, he said, tend to be lower income neighborhoods with residents who don’t have the means or political capital to fight it. Council member Sarah Marsh said she believes the request is appropriate for the area. She said the stormwater runoff in the area comes from the existing homes, and suggested residents up the hill add some low-impact design elements into their properties if they’re concerned about the properties below them. Council member Matthew Petty said he’s heard emphatic arguments over the past few weeks, but none that compelled him to oppose the rezoning. He said the potential loss of the pond on the empty has given him some concern, but the current rezoning already allowed for the removal of the pond. He said while struggling families might not be able to afford the types of homes that were planned on the land, smaller homes are relatively more affordable than the larger homes that would be built on the property under the current zoning. Council member Scroggin said the area is ripe for an increase in density because of its proximity to the intersection of Mission Boulevard and Crossover Road. He said he’d like to see the pond stay on the property, but it doesn’t seem like an option regardless of the zoning. Kinion said the neighborhood was established using covenants and those rules should be preserved, regardless of whether the lawsuit prevails. He said he also has concerns about traffic safety from the added residents the new homes would bring to the neighborhood. Turk said the neighborhood has been around a long time, and there are better places for modest increases in density, such as the 71B corridor. She said she has lingering concerns about stormwater runoff, and told the crowd before the vote that she would oppose the request. Gutierrez said it was an easy decision to side with the neighbors. She said she supports density and less expensive housing, but said there’s no guarantee that the homes will be affordable. She said she’d rather see density near the 71B corridor. Bunch said she’d gone back and forth over the decision through the weeks. She said she liked the idea of smaller homes since they give aging residents a more affordable option for a residence that requires less maintenance. She said the new homes would allow multi-generational living in the area, which she said is a good thing. With just minutes left before the vote, Bunch said she still hadn’t made up her mind. In the end, Bunch voted against the proposal, leaving it to fail with only four votes in favor.